Pinterest - a platform of Infographics and a media of pictures that rock the Internet World these days. Just like other platforms StumbleUpon, Instagram etc., it started as something and is now one of the top social media. It is a social networking platform to enhance your social engagement with other fellow networkers. Pinterest was first started in early 2010's and has got an amazing response from the users (mostly bloggers and SMB's) all over the world. And now it is listed as one of the top bookmarking tools by EbizMBA as of June 2013. As you know it as an infographic platform, you can share (Pin It) images other than infographics too. Large amount of traffic can be produced to your blog or your business if it is used efficiently. Here in this post, I'll tell you some techniques to make it work for you and your business efficiently. 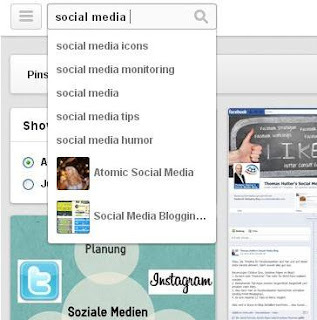 Remember Pinterest is a social networking platform too.It also stands 4th in top social networking sites by EbizMBA. First of all, don't think Pinterest is strange and uneasy to use. It is just like other social networks. Let me tell you how it differs from other social networks like Facebook and Twitter. Considering all the above controversies, it can be said as Pinterest is a combo of everything. Lets get into the things that you could make a fine use of it . Pin It- button is what makes the Pinterest works. When you pin it, it comes to your board(if board is already created). If you have no boards already, you need to create one and start pinning you images. The Board name should be exactly related to your blog's function. You may create as many boards as you like. For example: If your blog's niche is Social Media Marketing, then you may create your board like Social Media Marketing or Social Media Blogging or Social Media Infographics ( if you pin infographic images) based on your Genre. Use the Pin It button in your blog for the readers to pin your posts on their accounts too. The main thing to notice while pinning your posts is don't pin all your posts at a time. Pin only such posts that you believe could make the users view it on your website. If it's an infographic image, Pin It without any second thought coz it always costs you some visits. Search is an effective option to find what exactly you're looking for. You may find a common search on the top left side of your Pinterest Account. Pinterest allows you to search for keywords even if you don't have any account associated with it. That means you don't need an account to search for keywords. For example:, You search with the keyword Social Media Blogging. It shows a list of results and the results changes everytime you search again with the same keyword. It is updating its search as soon as a new entry is posted with the same keyword. This is the benefit of search option in Pinterest. You'll be getting new and fresh results everytime you search with the keyword. And you can also find the keywords that are mostly listed on the search results. This will help you analyze the keywords and use them when you pin your own posts. Remember the search is based on the title of the pin and make sure you have the most searched keywords on your title to get listed on the search results. 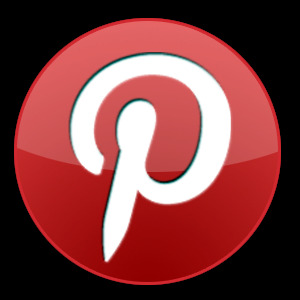 Description is another main part of Pinning a Post to Pinterest. Only the title of a post is not enough to pin your image on Pinterest. Description is a must to pin your post. It has to be powerful enough to tempt anyone to read the full blog post. Lets say, You're searching with a keyword. A list of results are displayed based on your search. So, what'll you do? You open a pin and view the image, first you'll see whether it has a description or not, just to get a vague idea what the pinned image is about. If you don't see any description, you'll move forward to another pin. Well, If the description is nice and clear to understand, you'll read the full post on their blog. Likewise, every user will expect a description for any pin so that they could get an idea of what the pinned image is about. A description should be good enough that it should tempt the viewers to read the full post on your blog. It should describe the theme of the post that you're going to Pin It. Here are some tips to write a powerful description for Pinning an image. Understand the whole theme of your post and write a sentence that covers the theme. Write not more than one or two lines. Don't copy the same lines from your post. Finish your description line with a question or suggestion that tempt the reader to read your full post. Finally, it all comes to interaction. After everything you have done, interact with other Pinners very often to show off what you've pinned. Interact with the people related to your Genre, like, comment on their pins, repin their pins on your boards. Let them know what you're pinning. When the title and description are better even without a good image to pin, people would love to read the full post on your blog. With all the above, I guess I covered some techniques to use Pinterest effectively to gain traffic. Now, do post your ideas and suggestions below too for all the readers out there. If you buy Real facebook, Twitter,Intagram, Pinterest, Youtube and Soundcloud followers at affordable prices.If you are more information so follow this word Gain Twitter followers . Nice guide to increase traffic for our website. For my website traffic, I choose SEO technique. SEO helps to ensure that a site is accessible to a search engine and improves the chances that the site will be found by the search engine. SEO is the best one to increase traffic for any kind of website. It gives high quality traffic for our website. And, I got SEO service from TheWebPole.com here they provide Search engine visibility service which bring traffic to my website. Here they provide you One-click submission of your site in many search engines like Google, Yahoo!, Bing, and AOL etc... and they also provide Powerful reports that show you how to move your website up in search results.